Never has a beer been more deserved. After a four and a half mile stroll through the delights of Constable Country we made it. Nestled in the Stour Valley on the Essex/Suffolk border the Swan at Stratford St Mary. With our breath laboured and our taste buds yearning we tried some of the best the United States could offer us. Its sister pub; the Walberswick Anchor has built itself an excellent reputation and the Swan is no different having become well known for its combination of fine dining coupled with the best the world of beer has to offer. 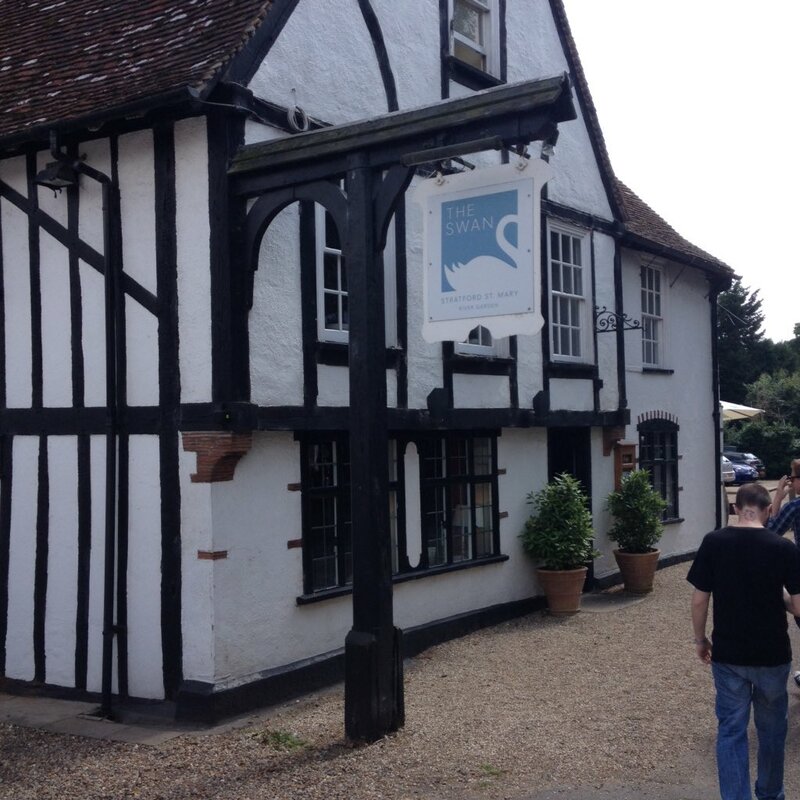 Many people have spoken to us about the qualities of this pub but this was the time for Pubcask to put the above statements to the test and see if all the fuss was worthwhile – enter three weary travelers with a thirst! The first impressions of the Swan were mixed. It was rather quiet for a beer festival! We came with the anticipation that we were attending a beer festival in the traditional sense. The theme being US Craft. This was not the case as there were only 4 US beers on tap. A pricey first bill almost made our jaws break as they dropped to the bar and a limited food menu did not fill us with much hope. How wrong we were. How very wrong we were. 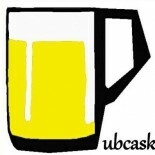 After our initial surprise and having had a chance to investigate a little further we found a mix of good cask ales and fine craft keg beers from all over the world. High quality international bottled beers are also available to purchase. 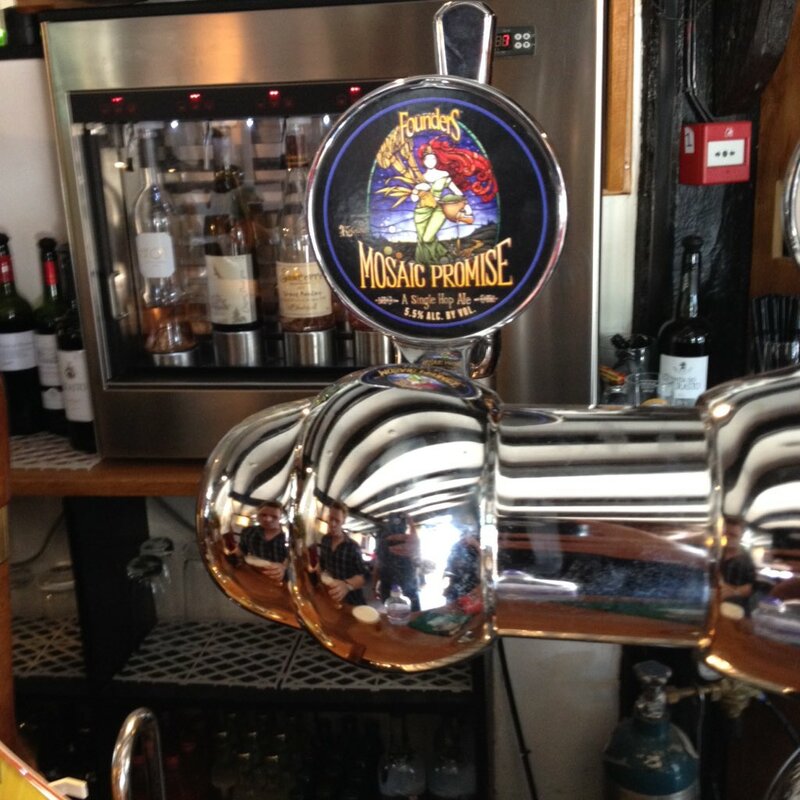 The first beer we tried was Founders Brewery Mosaic Promise. This single-hopped beer was a delight considering the warm weather. Chris is usually a cask ale man; but he stressed that the mosaic hop is best highlighted in keg form. This beer was refreshing; offering a satisfying, fragrant fruity bitterness with enough about it to keep you wanting more. A lot more in fact! But forever the professionals, we felt we had to move on to try the next American offering. In the middle of all of this; we tucked in to an absolutely superb Ploughman’s. The cheddar provided was outstanding! The Crispness of the beer cut through the richness of the cheddar and it became apparent that the menu was concerned with quality above all else. However, although the food was exceptional, it proved no matter the quality, Chris won’t eat celery: (The Devil’s food apparently”). The next beer was Firestone Walker’s Double Barrel Ale (DBA). This was a malt lover’s dream! Offering a full body and a sweet caramel taste. It was remarkably different to the other typical US beers on offer that. Chris and Brendan thoroughly enjoyed this whereas Karl felt it needed more bitterness. Our beer sampling then headed off on a massive tangent – this was the result of meeting Ed; one of the main men in the pub’s operation and the man behind their brewing project. Ed came across as well versed in the world of beer. He also informed us that the US craft theme was more of an ongoing thing as opposed to a weekend festival. 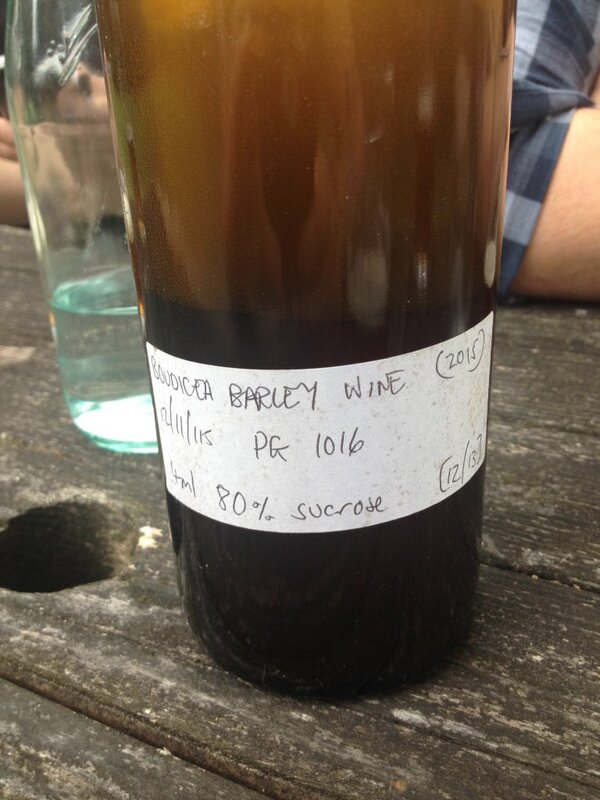 We asked him about his brewing and he shared with us information about his Barley wine. After returning some of our glasses to the bar we were astounded by his generosity when he allowed us to try a bottle of this very same barley wine. This was a real pleasure at 9.5% and containing a fair bit of sucrose. We all loved its full body and its almost perfect balance of bitterness and sweetness. It was incredibly drinkable and was reminiscent of Green Jack’s Ripper: another deceptively drinkable Barley wine. Well done Ed and thank you again for sharing! We then went our separate ways beer wise. Karl Chose Augustiner Helles; a very drinkable lager with enough malty flavour to back it up, some would say the perfect lager for a summer’s day. Chris went for Easy Jack IPA from Firestone Walker, a perfect session IPA giving a piney, fruity aroma, followed by a crisp, bitter taste. Even more impressive was the fact that all of this was packed into a beer of less than 5%. Brendan chose the Mosaic (having started with the DBA). Having enthusiastically – almost downing his well balanced lager; Karl also managed to squeeze in the much famed Beavertown Neck Oil. It’s light tones celebrated its fruity nature and the hops were grounded enough not to overshadow the drinkability and well balanced nature of this majestic beer. Having read their extensive bottled beer list; we were then keen to sample a few. Karl and Brendan studiously examined the fridges and came away with three bottles. We were also treated by Ed to a very special beer from his collection. But this will remain our little secret. It was pure heaven! Of the three bottles we only opened the one. 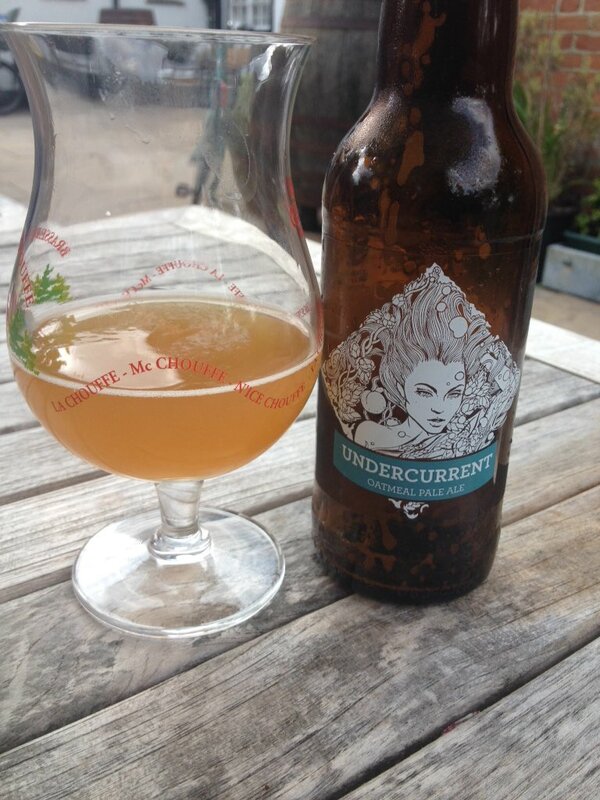 This was Siren’s Undercurrent Oatmeal Pale Ale. The body on this beer was the main highlight. It offered a good balance of everything. It was good but nothing special. Our last beer as a group was Pig and Porter’s Red Rye Spider. A crisp, very drinkable Amber beer. After this we made our farewells and headed back to Ipswich (via a lift this time!). So in conclusion the Stratford St Mary Swan is well worth a visit to anybody who enjoys fine dining and a wide and outstanding selection of beer from all over the world. It will also be very exciting to monitor developments regarding Ed and his brewing projects at the pub. It is quite an effort to get to the place via public transport. We walked following the Stour Valley path from Manningtree rail station. It was quite the hike but a very scenic one. If you like combining walking and pubs I would recommend this route. It is accessible by bus from Colchester but if you’re coming from Ipswich your best bet might be a taxi (about 15-20 minutes) if you don’t fancy the walk from Manningtree. Nonetheless it is definitely worthwhile making a visit some time. We intend to go again at some point soon. 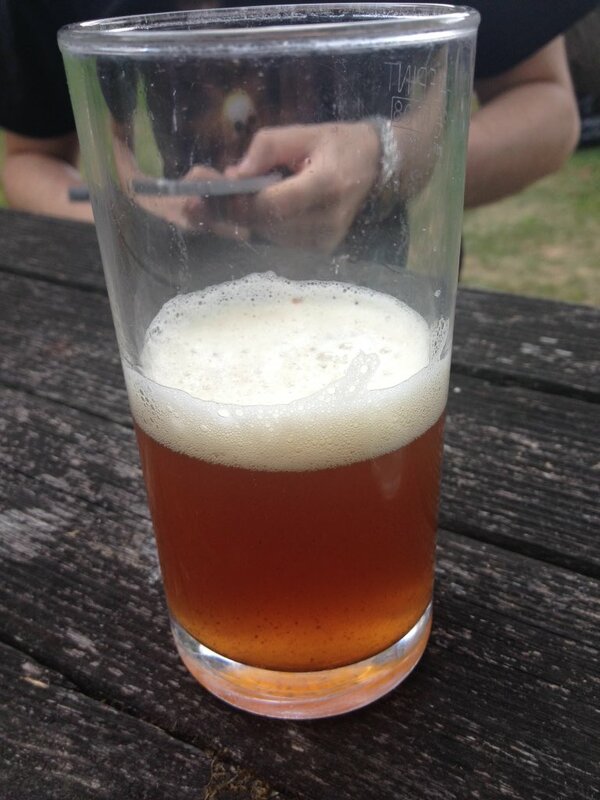 This entry was posted on August 14, 2016 by Chris Stone in Beers, Breweries, Days Out, Pubs and tagged Beer, Beer Festival, Beer Shops, Beers, Bottled Beer, bottled beers, Craft Beer, Ipswich, Real Ale, real ales, Suffolk.